Faye’s expertise is supporting organizations, leaders and teams to fulfill their potential and realize their aspirations. 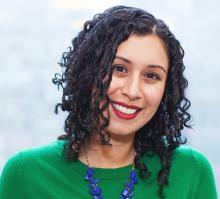 Her educational background includes a Bachelor of Social Work from the University of Calgary, a Master of Arts in Leadership from Royal Roads University and a Prosci Change Management Certification. She has over 30 years of experience working with public and not-for-profit organizations as a manager, consultant, educator, facilitator and coach. In 2003, after working in the healthcare sector for 18 years, Faye established a consulting practice focused on Organization Development. Her breadth of experience includes establishing and leading new departments operating within complex changing environments; supporting leaders to implement change initiatives at national, provincial and regional levels; building leaders’ capacities through coaching and training initiatives, and; supporting the development of organizations and their managers/leaders through numerous strategic and operational planning processes. Faye has been a member of the Building Community Organizations (BCO) Committee of BCODN for the last 11/2 years and represents BCO role on the BCODN Board. Marian is passionate about developing people’s and organizations’ capabilities, and community involvement. She has close to 15 years of experience developing talent across industries and countries. Her background includes a Bachelor’s degree in Human Resources Management, a Master’s degree in Organization Development and Leadership, a diploma in Evidence-Based Coaching, and certifications in Coaching (Associate Credited Coach) and Human Resources (Certified Professional Human Resources). She has a strengths-based approach and a sincere appreciation of diversity and loves mentoring and helping people to advance in their careers as well as their lives. Charles partners with organizations, leaders and teams to support change, design and facilitate strategic processes, and build capacity for effective action and learning. As a developing Organization Development Practitioner, he brings a perspective to capacity building and system transformation generated from 15 years of analysis, solutions design, change leadership and stakeholder engagement experience from his time in engineering research and development. With a keen interest in social learning and collaboration, his approach is underpinned by principles of community, collective growth and co-action. 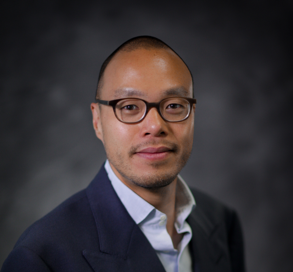 Charles is a member of the Organization Development Network and Association of Change Management Professionals, and a current BCODN Building Community Organizations volunteer consultant. Charles holds a B.A.Sc. in Engineering Physics and a M.A.Sc. in Mechanical Engineering from the University of British Columbia and is completing a Graduate Certificate in Organization Design and Development from Royal Roads University. Mumtaz is a hands-on, high quality and driven Organizational Change Management Practitioner with over a decade of experience delivering programs that create transformational change and building engaged cultures in large-scale, complex environments. She has attained certification in the Prosci® methodology for change; is armed with experience in post-secondary education and the energy, heavy machinery, mining and financial services sectors, and; is a CMC™ candidate working towards her CMC™ designation in management consulting. Mumtaz is actively involved in the community as a volunteer mentor for the SFU Mentors in Business (MIB) program and a member of the Association of Change Management Professionals (ACMP). Mumtaz is also the Co-Founder and Executive Director of a boutique consulting firm called Pragilis Solutions. Pragilis is a resource for business leaders who want to effect positive, successful and sustainable change in order to ensure that their organizations have strategic and competitive advantages. Rachel Young is an experienced Organization Development practitioner who holds a Bachelor of Business Administration in Finance from Bishop’s University and a Master of Arts in Organizational Psychology from Adler University. Conflict and conflict resolution were one area of her postgraduate specialization, which she explored in her Master’s Thesis “Power Dynamics and the Likelihood of Accessing Conflict Resolution Services”. Rachel has worked as a Financial Advisor for two of Canada’s largest banks and recently volunteered as an OD consultant for the Building Community Organizations (BCO) program. At present, she works as a Curriculum Developer for a national consulting firm based in Vancouver. Rachel’s passion for organizational psychology and human behaviour in the workplace informs her OD practice. 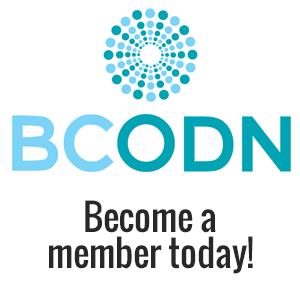 She brings diverse experience to BCODN and is committed to co-creating a space that encourages OD practitioners to support one another, learn, and grow. Raya’s most visible strength is her ability to connect with people. She is an organizational psychology practitioner and professional coach with her Masters in Organizational Psychology from Adler University, her bachelors in Psychology and certificate in organizational coaching (ICF) from the University of British Columbia. Raya’s vision is to support leaders and organizations in becoming future-ready and adaptable to today’s complex work environments. As an OD consultant, Raya specializes in coaching teams, designing leadership programs, and building individual capacity for awareness and empowerment. Her primary tool is conversation and open dialogue. 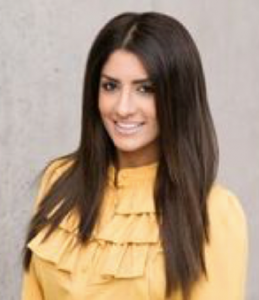 Raya currently works as a consultant through her own practice as well as an internal consultant and advisor to Translink since 2015. As a leader with OD skills, Catarina has been dabbling in OD work off the side of her desk for many years. Seeing recurring patterns of success and failure in her work and ‘discovering’ OD in her search for solutions, Catarina decided 3 years ago to make a professional shift towards OD and to study at Royal Roads. Combining professional experiences with adventure, she returned in 2018 from a 1-year posting in Jamaica where she worked as Organization Development Advisor with various local organizations through Cuso International. Beyond that, Catarina has 15 + years of leadership and management experience in social profit organizations and brings an international background of having lived, worked and studied in Europe and across the Americas. In addition to a BA and MA in the areas of Peace and Development Studies, Catarina holds a Graduate Certificate in Organization Design and Development from Royal Roads University. Tanis was drawn to the field of OD because she aspired to create work environments that support the well-being and development of people and utilize systems and processes that lead to productivity and success for the organization as a whole. 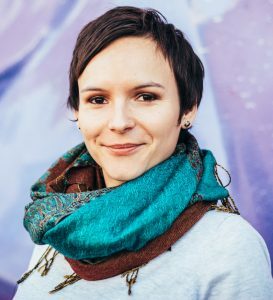 She is currently working as an OD consultant at BC Hydro through Metagnosis Consulting and her own company, Honest Galaxy Ventures Ltd. Tanis received her MA in Organizational Psychology from Adler University in 2015 and has been very involved in OD for the past 6 years. Tanis has a strong interest in building and supporting teams and has conducted research on high performing teams, provided development to an expedition team and created team-related training materials. She has utilized her Prosci training and other evidence-based approaches as well as drawn from many disciplines in working with leadership teams and providing change management support to organizations. Tanis also has extensive experience in coaching. For the past 4 years, she has worked with clients through her own business and for the past three years, she has been providing coaching support to physicians for Doctors of BC and Fraser Health. Tanis has been involved with the BCO for several years, starting as a volunteer consultant. As she found that position very rewarding, she joined the steering committee. In addition, Tanis has been asked to speak at provincial conferences on the topics of change management and supporting people through change. Lastly, she has volunteered her OD skills and experience overseas by providing consulting support to organizations in Uganda and India. The value she places on development is a part of who she is, and she is dedicated to continuous personal and professional growth. Bethan was born in apartheid South Africa and spent her young-adult life struggling against racism and poverty. In the early 90’s Bethan completed her BA in Psychology and Theology, and her Master’s of Divinity in Ethics and Leadership in the USA. Bethan then moved to Canada and served in numerous roles to help struggling groups to determine and accomplish their goals. At the University of San Diego in 2008, Bethan started a Ph.D. in Leadership and Organizational theory. She successfully defended her dissertation and also won that year’s William J. Foster Outstanding Dissertation Award in 2016. Bethan founded FairSway to offer Leadership Training and Team Building to train and equip organizations, boards, teams, and individuals with the insights, tools, and skills they can use right now to be more engaged, socially skilled, and effective achievers of their dream to mend their world. Bethan creates interventions that meet clients unique needs based on her education, training, and experience, as well certifications in Future Search, Open Space, Appreciative Inquiry, Strategic Invention, Clear Leadership, and other OD technologies. 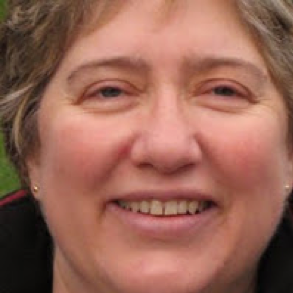 Bethan is a skilled trainer, speaker, coach, facilitator, and teacher who loves to connect diverse people into communities of learning and support like the BCODN. Wayne is a member of the Laureate International Network of Universities. 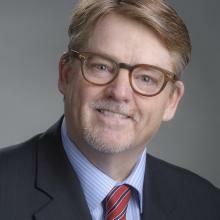 He received a Bachelor of Arts in philosophy from the University of Saskatchewan, a Bachelor of Education in Secondary Education from the University of Calgary, a Master of Business Administration in Human Resources and Organizational Culture Change from Royal Roads University, and a Doctor of Philosophy in higher education and adult learning from Walden University. He then studied organizational dynamics, Organization Development, organizational change and social geography at the University of Calgary. After moving to Vancouver, he worked for BC Hydro – a Crown Corporation that is one of the largest energy suppliers in Canada, generating and delivers electricity to over 4 million people in BC, constituted 95% of its population – first on the Customer Service Organizational Development Team and then in Human Resources. The HR projects he worked on while at BC Hydro, included performance management, a range of leadership development initiatives, change management (including business process re-engineering, restructuring, and outsourcing). At present, Wayne is the President of Senga Consulting, serving clients in government and the private, public, and not-for-profit sectors. He also teaches business courses at Simon Fraser University, Beedie School of Business, the University of British Columbia, Sauder School of Business, and the University of British Columbia Robert H. Lee Graduate School. He is a faculty mentor for a number of HR case competitions and Master’s in Management community projects supervisor. His community involvement has included being a Director on the Calgary Family Service Bureau Board and Director of the Kensington String Orchestra Board, and he is currently the Director of the Coast Social Enterprise Board as well as an active mentor for the BCO.